Since 1984, the Barrie Bruce Golf Schools has supported Junior golf with lessons(clinics) in a nurturing, safe environment. Safety, etiquette, and good sportsmanship is emphasized in our junior golf lessons, with fun contests and prizes! Equipment is available for loan if requested. 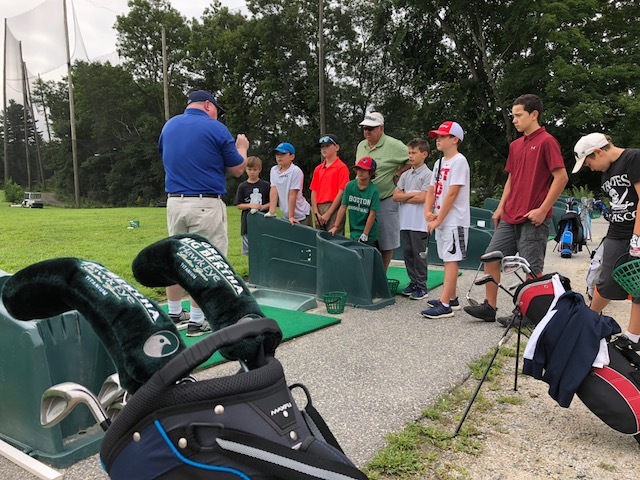 Junior golf lessons and clinics are available to boys and girls in Massachusetts ( MA ), New Hampshire ( NH ), and surrounding areas. It’s easy: Find the date/time that works for you, and note the date/CLASS CODE. Click HERE, and fill out all required information. In the COMMENT BOX, put ‘sign me up for Class Code _ _ starting on _/_ (date). Indicate the junior golfers’ name and AGE. We will email you a confirmation. OR, call us at 978-670-5396. NOTE: Please register by email or phone at LEAST one week before the class starts to avoid being locked out. Under the guidance of Sue Arruda, Director of Girls Golf, these lessons begin with basic skills, and can lead to possible participation in an all-girls league. Click HERE, and fill out all required information, and in the COMMENT BOX, put ‘sign me up for Class Code _ _ starting on _/_ (date). Please also indicate the junior golfers’ name and AGE. We will email you back with a confirmation. Whatever your child's goals are BBGS is the right place for you. Just bring 'a pair of sneakers and a good attitude' and you won't be disappointed. When Riley (my son) was 7 he attended his first junior clinic at Barrie Bruce Golf Schools . Because of the staff and the casual, fun atmosphere, he fell in love with the game. Barrie and his instructors provide equal doses encouragement and instruction which allows your child to progress to whatever level their desire takes them. Riley became very serious about his game early on and through countless hours of tutoring from Barrie and his staff, and his own dedication, he captured the New England Junior Player of the Year title at age 11!